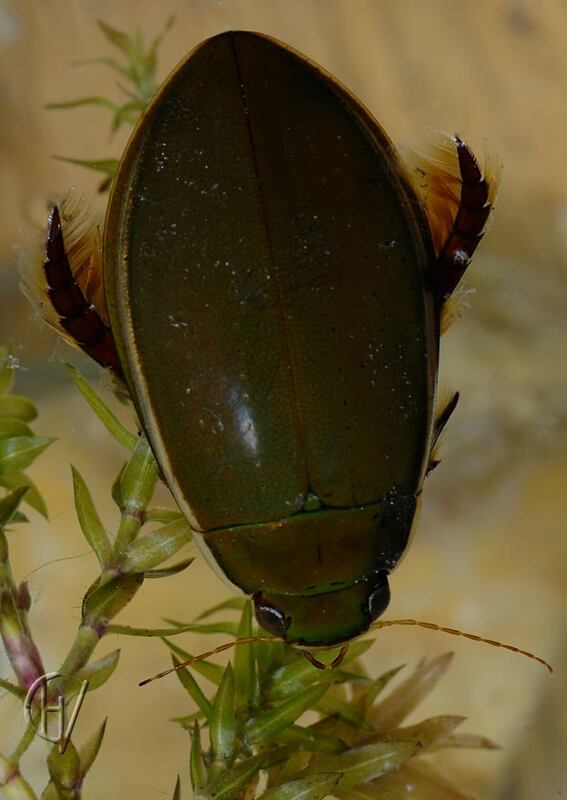 This beetle resembles the great diving beetle but it has only yellow margins along the sides (lateral). The shape is even more streamlined and the beetle is at its widest behind the middle. Mark the broad hind legs.